I’m nothing if not honest. And, if I was honest, I would admit that I have an addiction to a certain peanut butter cup. Seriously, these Reeces Macarons feed that addiction so well, it’s not funny. 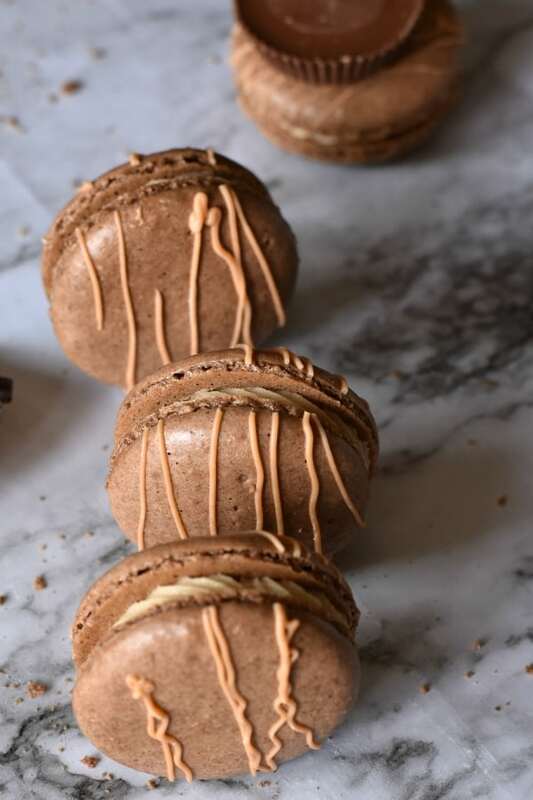 If you’re hesitant, though, read on because despite the fact that you’re afraid making French Macaron Cookies is “too hard”, they’re really not. I’m not kidding. 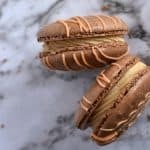 These Reeces Macarons are not only easy, they’re fun and so tasty, it’s worth learning how to use a food scale. 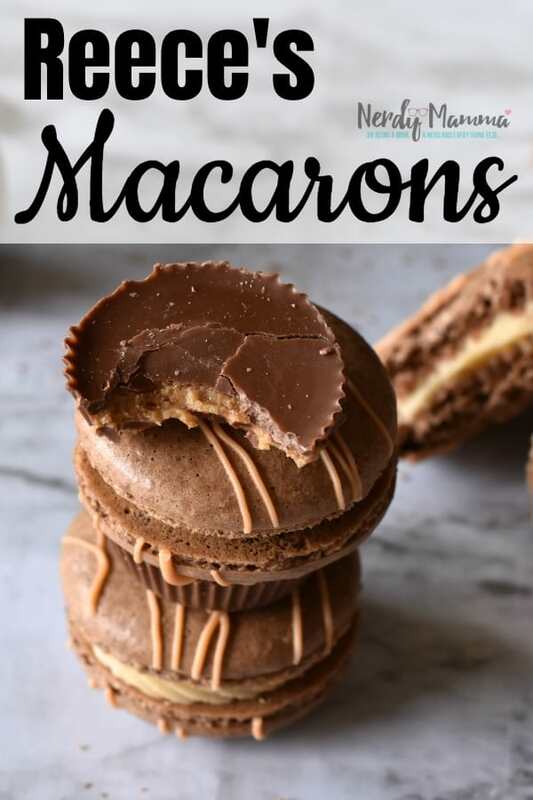 If you don’t believe how easy it really can be to whip-up these Reeces Macarons, just check out this simple slideshow video I made of how to make ’em. Er, something. 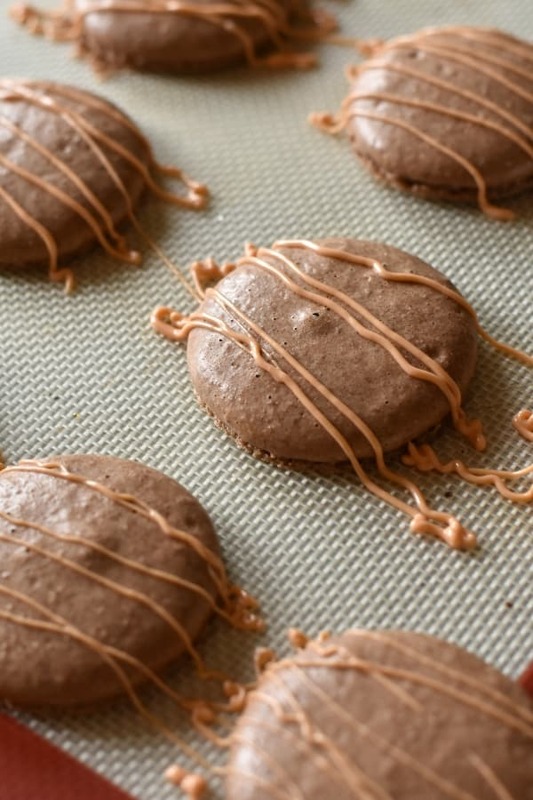 You seriously don’t need any special tools to make these Reeces Macarons, not really. But one thing that’s a total must is the food scale–no just for Reeces Macarons, but for ANY french macaron cookie-making adventure. Yeah, I didn’t have one, either, until I started making macarons–then I found out that I really had to have one in order to get the cookies to work right. So I snagged this really simple, flat digital scale–it’s easy to use and I like it, so there’s that. So, no real tools, just a couple of things and it really is simple to whip up a big batch of Reeces Macarons. 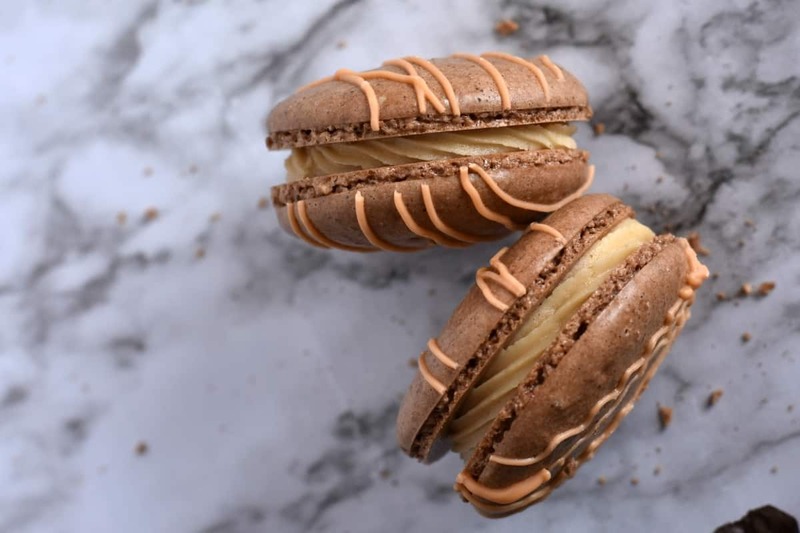 Oh, and don’t forget to look over these 12 Tips for Perfect Macarons–because, you know, preparedness is key before you rush off to make any French Macarons, not just these Reeces Macarons. 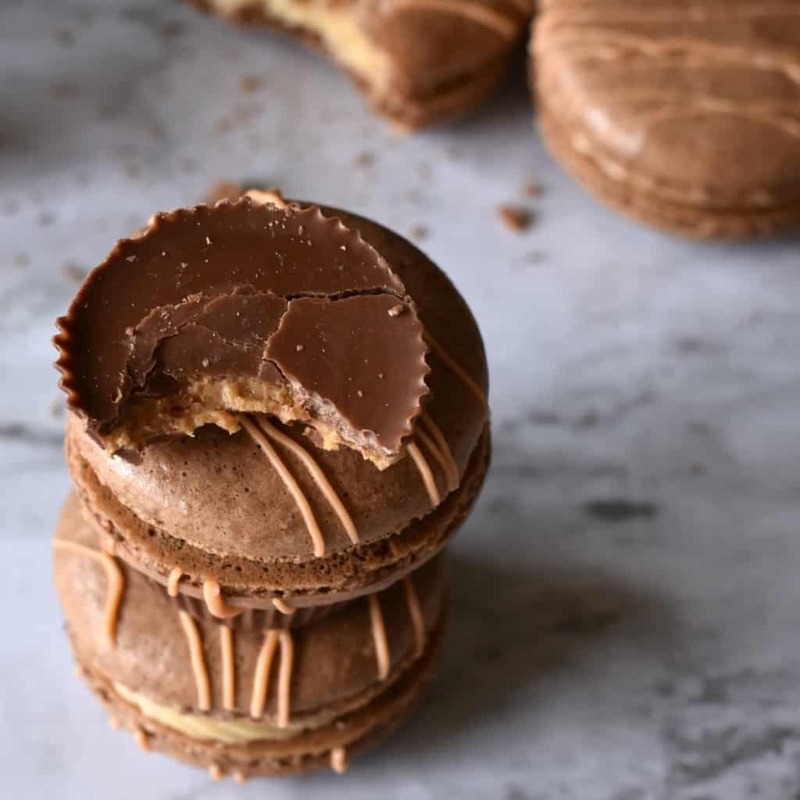 And it doesn’t even require any “weird” ingredients to make these Reeces Macarons, with the exception of the almond flour. Not everyone has that, so, you might want to make sure you’ve got some in your pantry. Then, when you’re mixing and mixing your Reeces Macarons, you have mix TO the ribbon stage. See the emphasis on the word “to” and not “past”. Because if you go PAST the ribbon stage, your macaron cookies will not be light and fluffy. But, after you’ve managed that little challenge, making the Reeces Macarons is, well, a cake walk. Just melt-up some peanut butter chips and drizzle them over the shells and BAM! 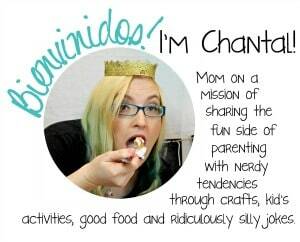 Ok. you might have to do some baking in between the ribbon stage and the peanut butter stage, but that’s hardly work. The oven is the one doing all the hot-stuff. 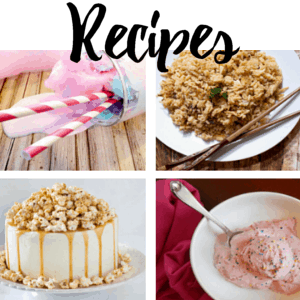 Not ready to make your Reeces Macarons yet? 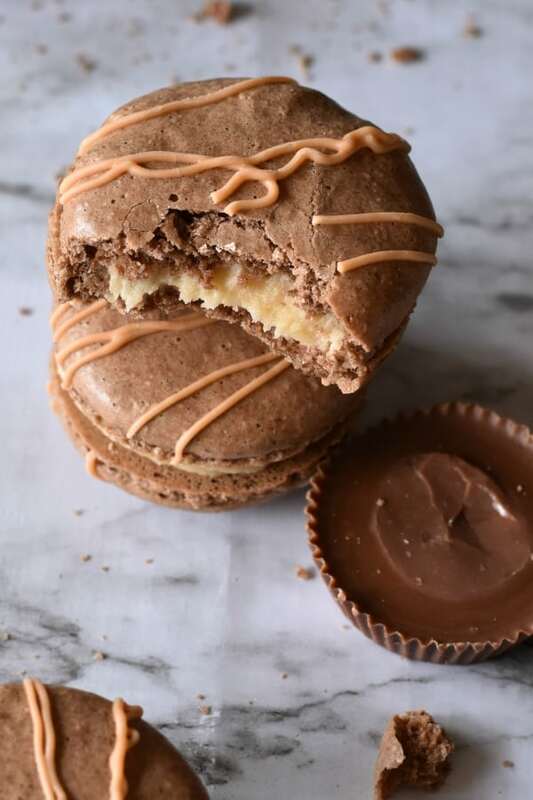 That’s ok. I’ll be here for you when you are–but to make it easier to find this recipe, be sure to pin it to your favorite macaron cookie board on Pinterest. And, heck, share it on Facebook, too, that way your friends know you’re about to make some amazing French Macarons and they can’t have any…LOL! I'm nothing if not honest. And, if I was honest, I would admit that I have an addiction to a certain peanut butter cup. And these Reeces Macarons feed that addiction so well, it's not funny. 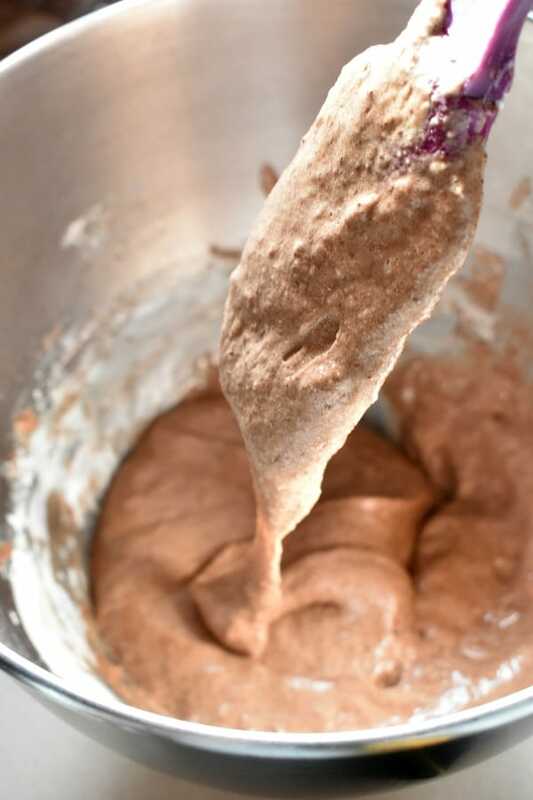 Sift together almond flour, powdered sugar (remember to remove 2 tbsp and replace with 2 tbsp cocoa powder), and cocoa powder in a large bowl and set aside. preheat your oven to 300 degrees F. and bake your macarons for 15-18 minutes or until lightly browned. When you touch the top of the macaron it should not wiggle around on the “feet”. Melt the peanut butter chips with about 1 tsp vegetable shortening and add to a ziplock bag, being careful not to burn yourself it will be warm. Cut a small hole in one corner of the bag. Drizzle over the top of the macaron shells. Allow to harden before moving on to the filling. Place the butter and peanut butter in the bowl of your stand mixer with a paddle attachment and cream until light and fluffy. Add in the confectioners sugar and mix until combined. Add in the vanilla extract, and cream and mix until combined.